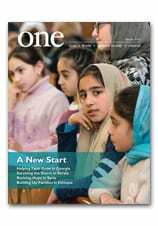 In the Autumn edition of ONE, writer Jose Kavi writes on the persecution of Christians in India. Here, he reflects on his experience of reporting on anti-Christian violence in the country for more than 30 years. Christians in India seem to be jittery these days. They feel helpless amid unprecedented attacks they have been facing for some time now. Reporting these attacks now has given me a feeling of déjà vu. I started reporting persecution of Christians in 1982, the year I joined South Religious Asian News, a news agency, as an in-service trainee. That year Christians and Hindus clashed in Kanniyakumari, the southernmost district of India. Police firing on clashing groups had led to several deaths. The news agency ran stories for months about sectarian clashes involving both Christians and Hindus. Hindus then formed 49 percent of the district’s population and Christians 46 percent. The rest were Muslims. Several probes by government and independent bodies blamed a group, Rashtriya Swayamsevak Sangh (R.S.S., “national volunteer organization”), for dividing people on the religious lines. R.S.S. was formed in 1925 as a charitable, educational, volunteer, Hindu nationalist non-governmental organization. However, its main agenda is to create a Hindu theocratic state in India. It has now become the umbrella organization for all rightwing Hindu groups in India. Its political arm, the Bharatiya Janata Party (B.J.P., “Indian people’s party”) now heads the federal coalition government. Attacks on Christians and other minority religious groups in India have happened in proportion to the growth of R.S.S. and its affiliates in the country. Most reported incidents of violence against Christians in 1998 occurred in Gujarat; it was the same year that the B.J.P. came to power in the state. The year began with an unprecedented hate campaign by groups espousing Hindutva (the ideology of Hindu nationalism). It culminated with ten days of nonstop violence against Christian tribal people and the destruction of churches and Christian institutions in the southeastern districts at the year’s end. Human Rights Watch investigated these attacks in the Dangs district in southeastern Gujarat. The events were preceded by escalating violence throughout the state in which many police and state officials were implicated. Ten years later, Kandhamal district in Odisha, an eastern Indian state, witnessed much worse violence against Christians. Violence erupted upon the impoverished Christian minority in August 2008. A series of riots led by radical Hindus left roughly 100 people dead, thousands injured, 300 churches and 6,000 homes destroyed, and 50,000 people displaced — many forced to hide in nearby forests, where more died of hunger and snake bites. The violence was carried out by mobs adorned with saffron headbands, a sign of right-wing Hindu militancy, and shouting slogans such as “Jai shri ram!” (victory to the Hindu god Ram) and “Jai bajrang bali!” (a tribute to another Hindu deity). Attackers wielded rods, tridents, swords, firearms, kerosene and even acid. The same year, as many as 24 churches, including the chapel of cloistered convent, were damaged and several Christians were attacked in Karnataka, a southern Indian state. All these incidents occurred away from New Delhi, India’s political capital. However, this ancient city also faced an unprecedented anti-Christian violence six months after the B.J.P. took over the national government. Over three months, at least five churches and a school were vandalized and the blame went to R.S.S. and its affiliates. The Delhi incidents put the government in a bad light internationally. The attacks stopped suddenly and all churches in the capital were given police protection. However, attacks now continue in villages far away from Delhi — giving me no respite from reporting on anti-Christian violence. Read Jose Kavi’s report, ‘There Will Be More Martyrs’, in the Autumn 2015 edition of ONE.